There is only one of you and there is only so much you can do in a day. You go to work, get paid, and do it over and over. If you stop working, you stop getting paid. What if you could do the work once and keep getting paid again and again for the same work? Well, you can. When a musician makes an album and performs it in the studio, he, she, they, or whomever is all involved do it once and yet get paid again and again for the next 100 years or more every time a radio station plays the song or a person buys the CD or DVD. Many musicians become millionaires rather quickly and in some cases, never have to work again. If they need an extra million dollars for something, they go on tour and sell that album and the process starts over again. We all make choices in life and to a large degree we pretty much find what we seek. Unless you have some debilitating handicap of some kind, you can generally write your own ticket. You might see a socialist post a complaint on Fakebook about forcing companies to pay more for unskilled labor because they are too stupid to seek truth, but most people with a brain realize that more skill equates to more pay. People that get married or have children before they obtain any marketable skills will either choose to stay in poverty forever or choose to learn a skill that will set them free. It’s a choice. Complaining about it will not help. One of the things that made the United States the greatest nation on earth was the free enterprise system, or capitalism. Only the most retarded of morons think it is a good idea to steal from the productive to feed the lazy. Theft at gunpoint is not charity. There is a way to level the playing field wherein you have the same opportunity to succeed in a business as anyone else, regardless of race, education, appearance, or just about anything else. When a sale is made, a company obtains the money to pay employees, advertise their product, and grow their business. Many businesses spend millions of dollars on advertising. Some companies allow people to earn a commission when they help a company sell a product. A few years ago people made vast amounts of money on the Internet with affiliate marketing. They placed ads on their web sites and when people clicked and bought, they earned a commission. With Network Marketing, you can earn a commission simply by telling someone to go to a web page. When the company makes a sale, you get a commission. You can also recruit people to help you. They earn a commission when they create a sale, but you do also because you recruited them to help you and you both get paid. Once you grasp this concept, you realize that there is no limit to how many people you can recruit to help you. In fact, they have the same opportunity as you and they can recruit people to help them also. This means that you can actually earn money while you sleep. If you take a day off to go to the doctor, your sales force is still working and you may even earn a commission while you are at the doctor. How many sales people do you need? The more, the better. Why would you ever want to stop hiring them? They get paid commission only so they only get paid if they work, but when they work they get paid very well. Imagine earning a dime on every cup of coffee sold in your state. And you could if you got a few friends to change the place where they buy their coffee. They tell a few of their friends that tell a few of their friends and pretty soon you are getting paid a commission on thousands of cups of coffee a day. You just keep spreading the word and the only way to fail is if you quit. If you got just five of your friends to change the place where they buy their coffee and encouraged them to find five of their own friends to do the same, you will have hundreds of people buying coffee every month that you earn a commission on. Nobody is spending any money that they wasn’t going to anyway and a lot of your friends will change where they buy just to help you out. Then when they see the money you are making they will wonder why they took so long to start doing what you are doing. It’s such a simple thing. 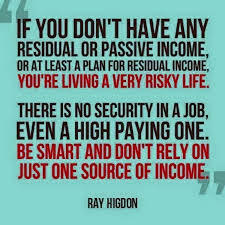 Sometimes people think it is a get rich quick scheme and expect to get rich by Friday, but once they realize that each person is doing only a very small thing, and that over time it all adds up, most people can actually visualize themselves getting five people to try some hemp infused coffee from Hempworx. The beauty is that My Daily Choice has other products besides hemp products. Me personally, I like the cbd oil because it changes people’s lives. It can take some time. But the pay-off is extraordinary. After a while your team grows whether you work it or not. The time to start is right now! Take a FREE Tour and see if this business is right for you.